British headphone audio Flare, now with added physics! Flare Audio's looking to re-engineer the audiophile headphone market with its physics-powered R1 headphones. British company, Flare Audio, is aiming to create “the ultimate headphone listening experience” with its R1 headphones range and is also adding to the R1 Mk2 fully open-back headphones with a new closed-back R1 Pro set. The R1 Mk2 set uses Flare's own audio tech to create a distortion-free sound. Using physics! The problem it sees is that current headphones are created with the notion of them being like an acoustic instrument. That means you end up with things like unwanted resonance and distorted driver movement. Flare's solution uses twin technologies dubbed Vortex and Space. The Dual Sided Vortex (DSV) tech releases pressure on both sides of the driver to allow for completely linear driver movement. Those vortexes are milled into solid hunks of aluminium and compressed with the Space technology to eliminate any interference from the enclosure itself. The open-backed nature of the R1 Mk2 headphones means they're really only suitable for the audiophile sat at home listening to their high-quality audio. You're not going to be popular sat on the bus with a pair of these spilling your music out to the public. 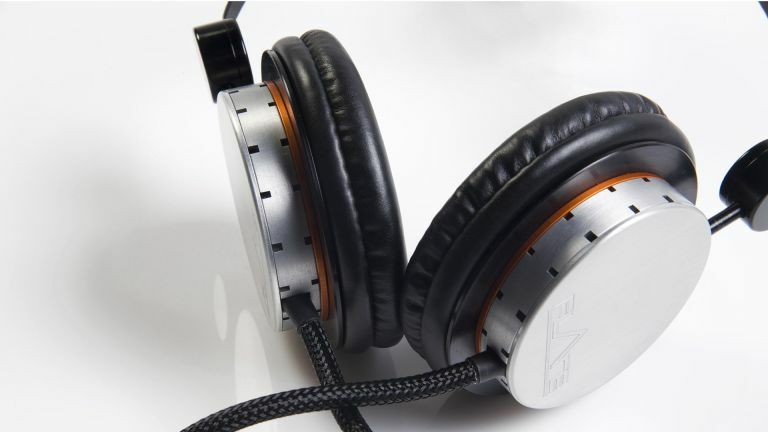 Flare though is also creating a set of fully closed headphones, using a similar pressure-balancing tech to the R1 Mk2s. This means they too are designed to offer great aural accuracy without the traditional distortion you can get on a traditional closed-back set, and without leaking the sound to the world at large. The fully-open R1 Mk2s are set to arrive in September, with the closed-back R1 Pros following a month later. We can't wait to get our ears in them.